"Steve's harp playing is characterized by fantastic tone, unbelievable control and musical artistry." Steve Baker coaxes full orchestral sounds out of his harmonica. At the same time he is a master of chamber musical nuances. He can make his instrument sound like a harmonium or a saxophone, a hammond organ or a jaw harp, a foghorn or a train whistle. Especially in his grandiose solos, the harmonica player with the virtuoso breathing technique shows just how far the blues harp has come today from the cotton fields in the South of the USA. 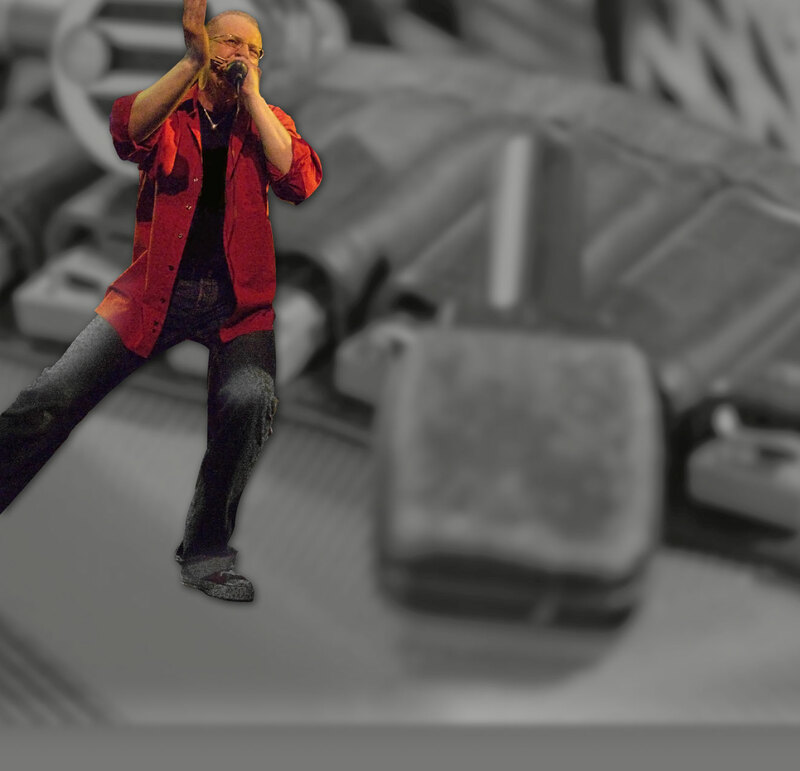 Setting a breakneck pace, Baker simulates a railway train - and blows all of his competitors for the title of “Europe’s best blues harmonica player“ clean away! "This man is one of the finest harmonica players I've heard in my life - and believe me, I've heard an awful lot of them"
Once again, Steve Baker proves that he numbers among the best and most entertaining harmonica players around. The native Londoner plays this little metal object as though it’s an extension of his body and when he gets down into his improvisations, it’s almost impossible to tell whether the sounds are being produced by the harmonica or by Steve Baker himself. He’s not only a great soloist, but also a wonderful accompanist, as his ability to tasefully fill out ballads demonstrates. He’s a man with an international reputation, a harmonica icon, and his virtuosity is amazing. His entire body seems to be involved in creating every single note which he conjures out of his harp. Though he’s a master of every trick on the instrument, he never falls into a cold, technical approach. His playing is warm, rough-edged and emotional and he makes the harmonica moan, rejoice, wail and laugh. On the ballad “Leaving To Stay” his sensitive support to Wallenstein’s gospel interpretation gives you goose bumps and on the ragtime number “Silver City” he sounds like a jazz trumpeter. Steve Baker’s remarkable performance made it easy to see why he is regarded as one of the most influential harmonica players in Europe. His inimitable and totally individual style and sound immediately grab the listener’s attention. Sometimes he phrases like a saxophone, sometimes he makes his harmonica sound like an organ. The audience responded with continual outbursts of spontaneous applause. "Steve Baker is an innovator!"